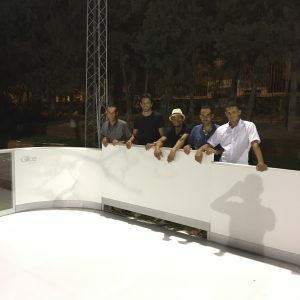 Glice® synthetic ice rink in Tunisia! 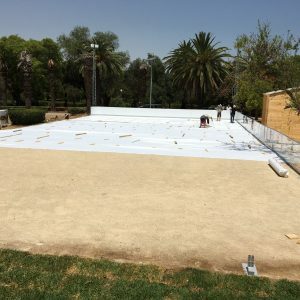 Glice® installed its first premium synthetic ice rink in Tunisia, at the ice park Tunis. This high quality artificial ice rink is part of the new local theme park. It is the biggest ice rink in Tunisia. Both, white and transparent dasher boards were used for this Glice®-rink. Glice® is proud to provide high quality synthetic ice rinks for skaters around the world. Learn more about high quality Glice® plastic ice on our website: www.glicerink.com or contact us here! Former ice hockey pro, Dirk Voss, tests Glice® premium synthetic ice and is impressed by the quality and the ease of performance this artificial ice rink provides. Glice® is a great alternative for ice hockey professionals to practice on and prepare for the next season. Voss, like many other professionals and experts, highly recommends it. To learn more about the high quality synthetic ice produced by Glice® visit our website: www.glicerink.com or contact us here! Glice® premium synthetic ice rinks are very easy to install and can be used anywhere, at any time. Glice® plastic ice panels are designed to be effortlessly interlocked using a tongue-and-roof interlocking system that will prevent a shift in any direction and create a smooth surface. 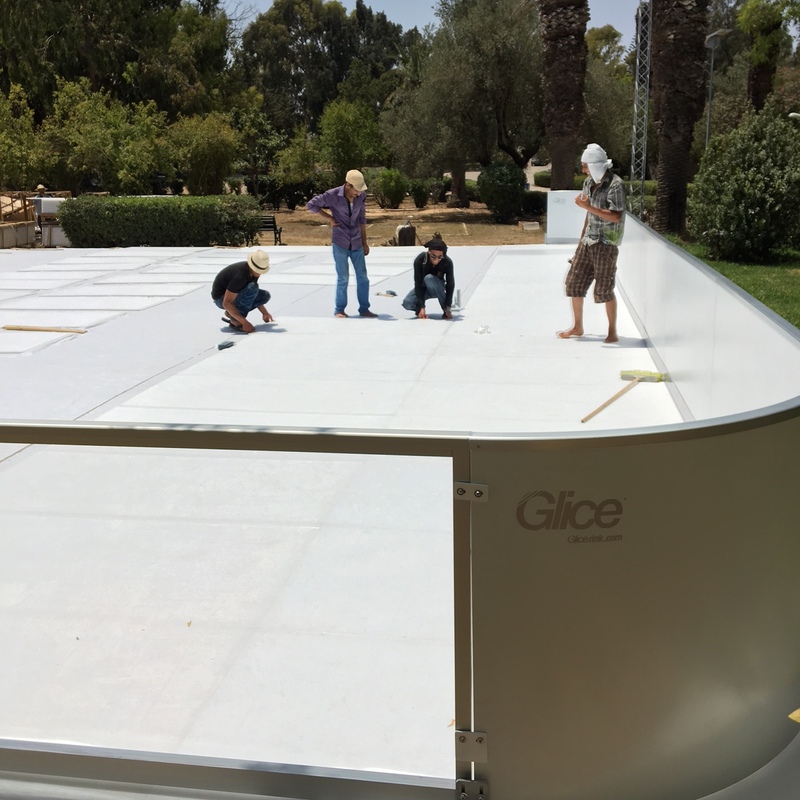 Get your own Glice®-rink and have it installed in just a few hours! To learn more about Glice® visit our website: www.glicerink.com or contact us here!